The term Gongen. The suffix term, gongen can trace its roots to both Buddhism and Shintoism. The term essentially describes an avatar-like being. (4) More thoroughly put, gongen is simply the manifestation of Buddha in human form. This term, however, was used under the auspices of Shintoism under the concept of honji suijaku, a belief that Buddha deities can appear as kami's (Shinto deities). (5,6) Though not all Shintoist shared this belief, the concept evolved perhaps at a time when Buddhism was becoming more and more popular in Old Japan, where Shintoism, the indigenous and more dominant religion at the time, was losing favor to Buddhism. In essence, the concept was a way to harmoniously combine the two religions without Shintoism losing its legitimacy (author's speculation). This harmonization became known as shinbutsu shûgô. (7) This assimilation movement was later abolished by the Japanese government on March 28, 1868 during the Meiji Restoration in what became known as shinbutsu bunri, the separation of Buddhism and Shintoism. 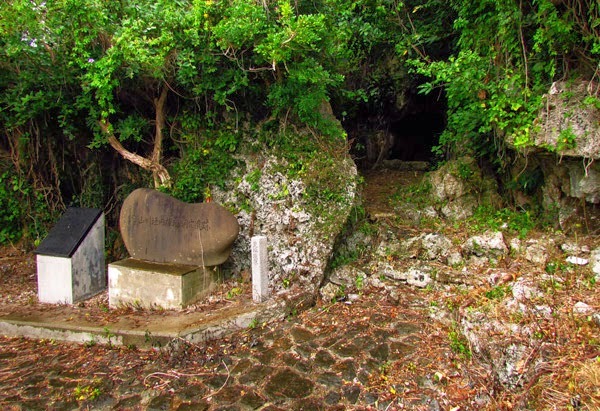 (8) As for the Yamagawa cave in Motobu, it is not clear what connection exist (if there is one to begin with) between either religions or why it received the title of Gongen. This is pending further investigation. Recommendations. 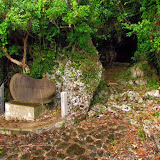 Though the cave is extremely small it is still considered sacred and continues to house burial urns. Entrance is highly ill-advised. Additionally, the entrance is extremely narrow and any attempt to enter my cause damage to the cave. Any geocaching activity (physical emplacement of an object) should be avoided in the immediate area. 1. Motobu Town Website Site ( Yamagawa Kakiuchi-Gongen). 3. 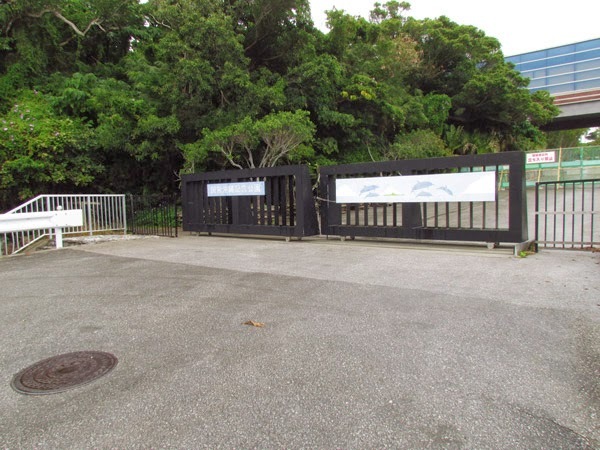 Gusuku Period, Okinawa Prefectural Education website. 4. Gongen; definition, Encyclopedia of Shinto, website link. 5. Honji suijaku; definition, website link. 6. Maitreya, the Future Buddha: Edited by Alan Sponberg and Helen Hardacre,CUP Archive, 1988, pgs 251-252, Google Book Link. 7. Shinbutsu shûgô; definition, Encyclopedia of Shinto, website link. 8. Shinbutsu bunri; definition, Encyclopedia of Shinto, website link. Directions. Take Highway 58 into Nago City. Then take Highway 449 going towards the Motobu Peninsula. 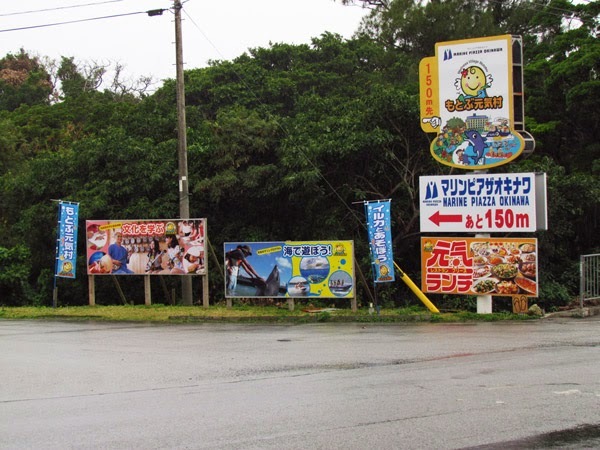 Then take Highway 114 as if you are heading towards the Churaumi Aquarium. About 400 meter after making this turn you will turn left at this LandMark (Group of Signs). Follow the blue designated route to till you reach this dead end. The cave will be next to this LandMark.